There’s something about being a fan of cult classics that feels really fun and admittedly cool. Usually they are well known enough to have the classic appendage, and under the radar enough for the niche cult following. That’s honestly how I like to seek out most of what I consume for pleasure - finding those things that have a natural appeal with a distinctive edge. So going with this theme, my current mood calls for Big Star’s “#1 Record” and a bottle of Laurence & Remi Dufaitre’s 2016 Cote du Brouilly Beaujolais. 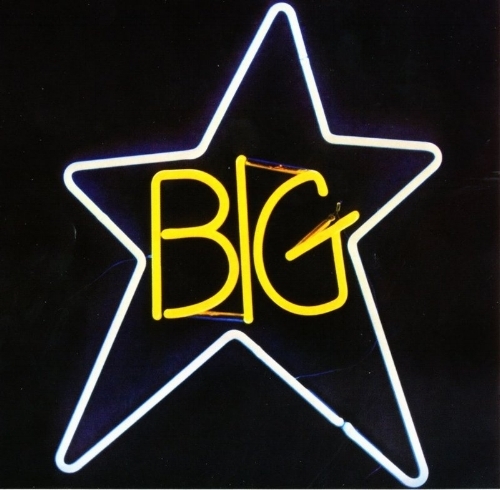 Big Star is one of those bands that I always heard of but never really heard until I actively made it a point to. And once I did, I would recognize some of their songs as ones I actually was familiar with but didn’t know it was them at the time. They definitely had a presence in the 70s music scene but never, ironically, were big stars. Be that as it may, they have the power and attitude for the big leagues. I love how their style has so many layers, sounding super garage rocky with a Stooges or The Kinks sensibility, and other times displaying Robert Plant-style confidence, with some jangly Brit Pop mixed in and even some Americana undertones, no doubt derived from their Memphis roots. Rémi Dufaitre, along with his wife Laurence, are part of the natural wine movement in Beaujolais who are rockstars in their own right. Before I discovered the depth of what this French wine region has to offer, all I knew of was the thin, simple Beaujolais Nouveau I’d tried at Thanksgiving. The Dufaitre wines are killer examples of the character and talent found in high-level Beaujolais. Rémi is a young winemaker who made his first vintage in 2010 and embraces the new school of thought associated with natural winemaking that’s slowly being adopted in many wine regions. He follows the legacy of Kermit Lynch’s proclaimed “gang of four” producers in the Crus of Beaujolais who studied under natural wine pioneer Jules Chauvet. The result are wines that are responsibly, sustainably and lovingly made with a wild spirit and elegance at the same time that will change the way you think about Beaujolais. As I start the record and take the first whiff of my glass, both the wine and the music make an equally bold entrance. The aromas of the Beaujolais made from the charming Gamay grape jump out of the glass to meet my nostrils dead on, while the driving opening track “Feel” plays with swagger in the background. My first impression of the wine is a flurry of smells revealing brilliant red cherry, a little bit of that barnyard funk, red Twizzler, a little beef jerky in there with a floral hint. The second track immediately takes a different turn, showing Big Star’s softer, sensitive side with “The Ballad of El Goodo” which is suited to the silky tannins of the wine. On the palate, the wine has a lot of finesse with a long finish, letting on that while this is a fun wine, it’s also a serious one. The next track, “In the Street” (looking at you, That 70s Show fans), is a 70s dance party song featuring Cowbell that’s seemingly uncomplicated but just a really well written song. It may be the best song-to-sip pairing of the two, in that the undeniable skill and craftsmanship are presented in an easy, cool way. “Don’t Lie to Me” is a tough, demanding, head banging, air drumming, shout-singing jam with Chuck Berry-style guitar and a killer bass line. So far, the complexity of this album is on the same level as the myriad of notes in the wine. I mean, c’mon! Those romantic as hell lyrics combined with the upbeat rhythm and dance inducing jams almost makes me wish this was the first dance song at my wedding, but then again I wouldn’t change my selection of “At My Most Beautiful” by R.E.M. As it turns out, Big Star heavily influenced R.E.M., and anyone who really knows me knows probably to an exhaustive and annoying degree that they’re my favorite band. “My Life is Right” follows and is such a wonderful, sweet love song. It seems fitting while drinking a wine made by a husband and wife team. Just as the song says: “you give me life” Big Star and Dufaitre Cotes du Brouilly. My life indeed is right in your company. The rest of the album continues to show a range of styles and emotions - hopelessness, happiness, angst and carefree - making for an interesting arch, and ends with the track “ST 100/6.” It is short and sweet, actually unlike the wine which has a nice long finish that lingers. It ends with a soft plea for love and companionship. Not aggressive, just eager and full of desire - which could also be said about my feelings for more of this wine & record pairing.